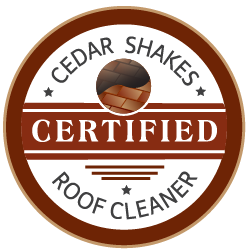 Cedar Shakes Not Just Another Cedar Roof Cleaning in Bluffton, SC ! Just like the tree from which they were harvested, cedar shakes and shingles are strong and long lasting. Cedar wood is organic and needs to be cleaned to stay healthy. When properly cared for, cedar roofs can last for 40 years and sometimes longer. Cedar roofing has natural thermal insulating properties and delivers up to five time the insulating value of other roofing materials; keeping your house cool in the hot months an warm in the winter. The insulating performance Cedar Roof Cleaning helps to keep down the cost of your energy bills. Cedar roofs don’t normally decay, but they do weather. Cedar has natural preservatives that resist moisture, decay and insect damage.. In warm, humid limits, or on heavily shaded roofs, algae, moss, mold. mildew, lichen and fungi can grow. These organisms retain moisture and cause the cedar to decay if it is not properly Cedar Roof Cleaning maintained. New shakes an shingles display the natural honey and cinnamon tones. They will later mature to a seasoned and distinguished -looking slivery gray when it is properly maintained Cedar Roof Cleaning. If the shakes or shingles display a brown to black tone, this is a sign of Brown Rot Fungi Infestation. Your roof needs to be cleaned. A green tint or moss growing on your roof is another tell tales sign of a problem. Wood mold and algae have taken up residence and are doing damage. Lichen showing up in the form of white and yellow spots signals that your roof needs Cedar Roof Cleaning maintenance. All of these conditions will prematurely deteriorate your cedar roof. Our cleaning process will stop the present deterioration, returning shakes to their normal functioning condition. Unfortunately, there are some roofs that are not a good candidate for cleaning. They are old or in very poor condition due to lack of maintenance. We will not clean a cedar roof that is in need of major repair or replacement. 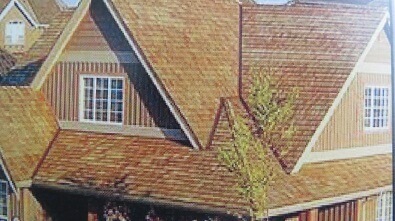 There would be not benefit to the homeowner since it would be a non beneficial use Cedar Roof Cleaning of their money. For a fraction of the cost of roof replacement, you can have your cedar roof cleaned, thus extending the life of your cedar roof. Cedar roofs should be cleaned every 6 to 8 years. With paper maintenance, it will last 40 years or longer. To apply our specially formulated cedar shakes solution, we use a soft wash/low pressure system. The solution we use can not be purchased. We mix the solution ourselves Cedar Roof Cleaning. The system was perfected by one of the country’s top cedar shake experts, Bruce Sullivan. 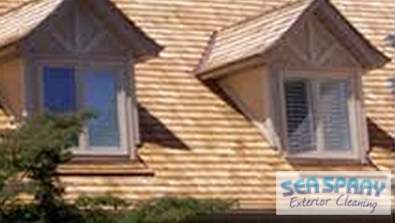 Seaspray Exterior Cleaning Service is a proud member of the Sullivan Cedar Roof Cleaning Network. The integrity and care of your roof is of the utmost importance. Sea Spray Exterior Cleaning not not step on your roof unless it is absolutely necessary. All work will be done from the ground or ladder. 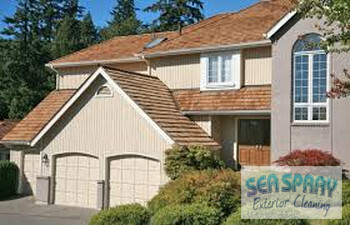 Don’t prematurely replace your roof, Sea Spray Exterior Cleaning when we can clean it Cedar Roof Cleaning . 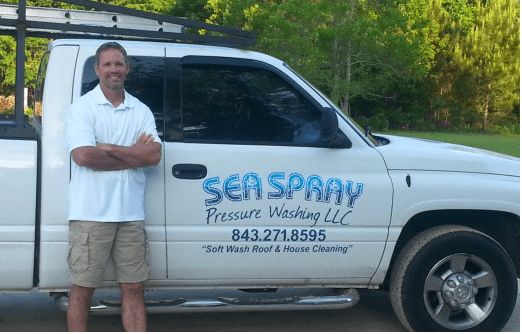 Call Seaspray Exterior Cleaning Services Today!